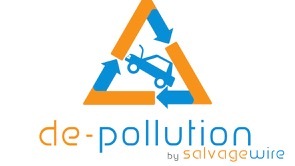 It was initially thought that the provision of drip trays in vehicle depollution bays were a good idea, preventing the spread of spills and making the cleaning up process quicker and more efficient. These large metal trays at the base of a depollution bay collect drips of coolant, oil, brake fluid, diesel, and petrol during the depollution process. The problem is, however, that petrol vapour also collects in the tray; because this vapour is heavier than air, it sinks to the lowest point and then can’t escape or disperse due to the metal sides (usually around 2” deep). Because petrol vapour is explosive, what at first seemed to be a good idea turns out to be a major hazard to workers using the depollution bay. In addition to this, many manufacturers do not fully understand the legislation surrounding the potential hazards of this explosive atmosphere and cocktail of flammable substances. The European Directive 94/9/EC, ATEX, or as it’s known in the UK, DSEAR (Dangerous Substances & Explosive Atmosphere Regulations) provides guidelines and legislations regarding the safe handling and management of explosive gases. According to this legislation, the UK’s Health & Safety Executive have declared that the area above the drip tray is a permanent explosive atmosphere, due to the fact that petrol vapour is present along with flammable liquids. What’s more alarming is that it is deemed to be a ‘Zone 0’ – the highest graded risk. 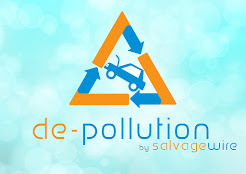 One of the leading UK depollution bay manufacturers, AutoDrain, have spent many years researching and testing vehicle depollution equipment and ensure that all of their products are designed in accordance with this legislation. Putting safety as a paramount priority, they strongly recommend that drip trays are not used – their own equipment reflects this; workers using their bays are not at risk from standing on top of a drip tray and the potentially fatal atmosphere that they can create. In addition to the aforementioned legislative reasons for discarding the use of dangerous drip trays, AutoDrain also state that they do not use drip trays due to potential tripping hazards and other health and safety legislation - which would require breathing apparatus to be used by depollution workers. I rang the DVLA yesterday to get advice on how to scrap my car. I did this in the guise of an ordinary car owner. Unfortunately the guy at the DVLA defaulted immediately to the classic DVLA line "Just fill out section 9 and send it to us"
I quoted what it said on the new V5c where it says You cannot use the V5c to tell us that you have scrapped your vehicle. He advised me to fill out section 9 and the DVLA would remove me as owner of the vehicle and "put it to trade". This appears to be a state of limbo where vehicles go, many of which may be scrapped. I asked him about a COD . He said "Well you could get one of those if you wish"
I asked" where from ?" He went away for a while and came back to inform me that "there was a list on the Internet somewhere." I asked if getting a COD would end my responsibilities as owner. He said "not necessarily and the only way to to do this was to fill out section 9 and tell us that you are no longer the keeper. I asked him why?, given that it said on the V5c that the DVLA were not allowing the use of the V5c to tell of a scrapped vehicle. He infomed me "well not all scrapyards issue these certificates and in any case the certificate does not always immediately end your responsibility for the vehicle". To hear this from someone who is there to inform the public as to the correct procedure for legally scrapping ones motor vehicle was to say the least disheartening. The tick box is gone and this is a good thing, but the filling in of section 9 and the strange wording on the back of the new V5cs will maintain some of the Non CoD loopholes. If all you have to do is put any name on section 9 of the V5c then the unlicensed will continue to find ways around the system and the UK will end up with millions of un recorded scrap vehicles which the DVLA have put "out to trade"
If my phone call is anything to go by we are far from home and dry with the DVLA. They continue to send out confusing messages to vehicle owners. Granted it will take time for the full effect of the new V5c but perhaps we should be looking for further assurance form the DVLA that their staff at least understand the law re ELVs.